Over the past decade, the Mazda 3 has become one of the best small sedans on the road. Available in the form of a sedan or hatchback, the 2015 Mazda 3 is a great choice for the drivers who are on a limited budget. The car’s primary competition includes the Ford Focus, Volkswagen Golf, Honda Civic, and Subaru Impreza. All versions of the new Mazda 3 promise to deliver great fuel economy. While the base 2.0-liter engine is rated at 41 mpg on the highway, the more powerful 2.5-liter engine is still able to maintain an efficient fuel economy rating of nearly 40 mpg on the open road. The 3s model is also available with a special regenerative braking system called “i-ELOOP”. The Mazda 3 has a fun-to-drive character that thousands of people have grown to love. The car’s athletic chassis enables the driver to weave around curvy roads with precision. Although a sports-tuned suspension system is not currently offered, the standard suspension setup allows the Mazda 3 to outperform most of the competition. Both the automatic transmission and the manual gearbox are able to extract the optimum performance out of the engine. Although the Mazda 3 is considered a small sedan, most people will find the interior room to be very accommodating. With a total cargo capacity of over 47 feet, the hatchback model is able to showcase its versatility. The extra space is a major advantage for the drivers who need to haul large items on a regular basis. The 2015 Mazda 3 is certainly one of the most attractive small cars on the market. While a variety of different drivers will adore the car’s attractive design, its fresh-faced styling tends to appeal more to the younger crowd. The available rear spoiler and optional 18-inches wheels help to give the Mazda 3 an even sportier presence on the road. Fortunately, the interior design is just as impressive as the exterior. Many shoppers are surprised that the Mazda 3 actually has an affordable price tag. While the entry-level model starts at under $19,000, the top-of-the-line Touring model tops out at just over $26,000. This is good news for the drivers who are seeking a high-quality ride that does not break the bank. Very few vehicles in this price range can match the Mazda 3’s overall value. The Mazda 3’s five-star safety rating helps to give everyone in the car an additional sense of security. 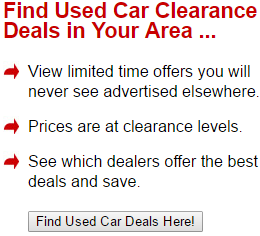 The sedan is also offered with several advanced safety features. The blind-spot monitoring system definitely comes in handy for the drivers who routinely travel on the highway. On the other hand, the adaptive headlight system effectively improves visibility when driving on rural roads at night. While the base model comes equipped with the basic essentials such A/C and power windows, some people may desire a tad bit more luxury. The upper level trims offer a number of luxurious goodies including key-less ignition, a 7-inch touch-screen interface, navigation, and a high-end Bose audio system. Many commuters will also find the optional head-up display to be extremely convenient. The optional Smart City Brake Support feature helps to enhance the car’s stopping ability at low speeds. If the innovative safety feature detects an imminent crash, it will automatically activate the brakes. 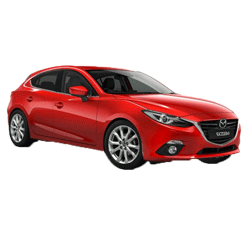 The overall quality of the 2015 Mazda 3 rivals the Volkswagen Golf and the Ford Focus. In regards to performance and handling, the Mazda 3 is still a bit better than the Kia Forte and the Hyundai Elantra. However, the car’s power output puts it a notch above virtually every vehicle in its class. Unfortunately, the high-performance Mazdaspeed 3 is no longer on the market. In the eyes of many car fans, the Mazdaspeed was the most exciting hatchback car on the street. However, Mazda officials have hinted that the Mazdaspeed 3 will be reintroduced into the lineup sometime in the near future. All versions of the 2015 Mazda 3 come standard with a front-wheel drive setup. Drivers who need an extra degree of traction in the winter may prefer an all-wheel drive sedan such as the Subaru Impreza. Although most people will not find the engine sound to be annoying, there are some car owners who may prefer a quieter ride. During acceleration, the Mazda 3’s engine can be heard from the driver’s seat. Drivers who are in the market for a small sedan or hatchback will find the Mazda 3 to be a very satisfying choice. Not only does the Mazda 3 deliver a very engaging performance on the road, but it also maintains an impressive fuel economy rating.